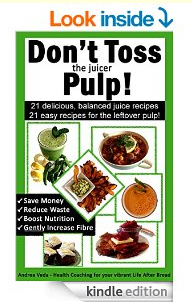 My book Don’t Toss the Juicer Pulp is now available to download on Kindle at Amazon, and for 3 days only you can download it for FREE! If you’ve been following my videos, you will have had a sneak peek into some of the recipes from the book. So, if you’ve been inspired by these to use your juicer pulp, you will love the recipes I have created for the book. All you need to do is go to your Amazon page for your country and search for ‘Don’t Toss the Juicer Pulp’. It is free to download from 20th to 22nd December, so please get there quickly and get your copy! Share with your family, friends and on social media so that everyone can take advantage of this Free Download period! There are links to the major Amazon stores below. 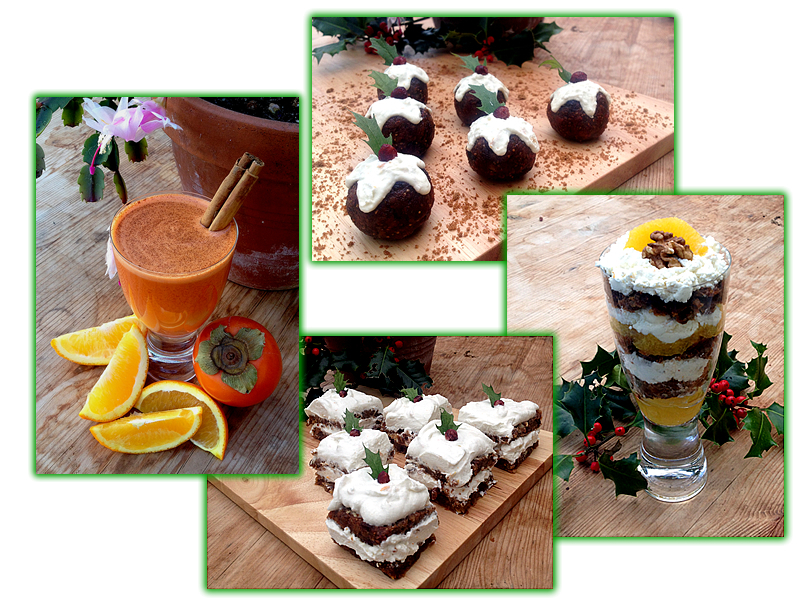 As a special thank you for all the encouragement I have received about my recipes and the book, I have created a special bonus set of recipes that will be especially helpful in this festive season. 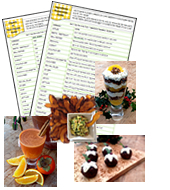 These recipes are available as part of a special bonus download called Festive Food Hacks, created to help you survive the holidays with your health intact – you can sign up below to receive this. I’m also addressing the dilemma of how to keep juicing during the colder months, for those of you (like me!) 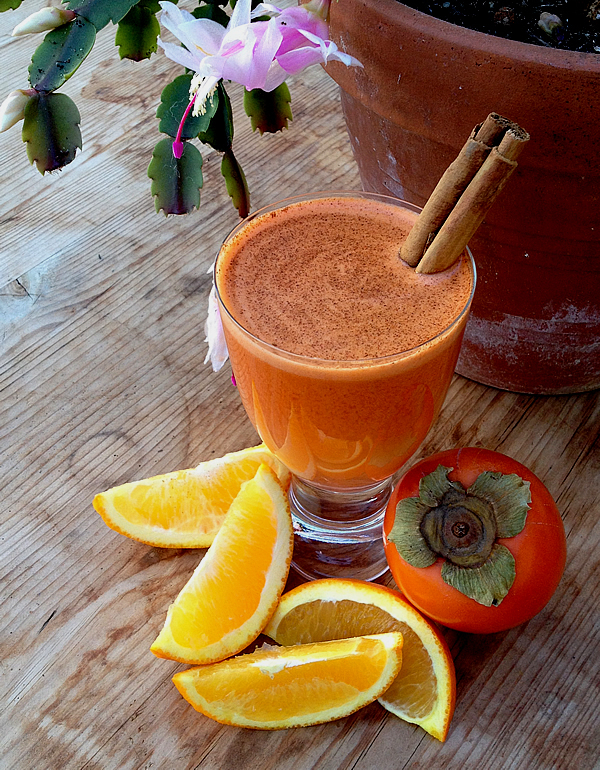 who are in the midst of winter and finding juicing at its most challenging. If you have a juicer, and especially if it’s gathering dust since the temperature dropped (if you’re in the southern hemisphere feel free to ignore this! ), this juice recipe will at least help your juicing taste buds get into the Christmas spirit. Instead of tropical sunshine, this recipe imparts feelings of a deeper sweetness, with cinnamon and ginger bringing spicy warmth and blood sugar regulation. One of the highlights of the cold months for me is the arrival of persimmons on the grocery shelves. Tasting like the exotic love child of a mango and a nectarine, these super sweet-tasting fruits contain worthy levels of vitamins A and C to ward of winter chills, along with B-Complex vitamins, and minerals. They also have a healthy fibre content, which we’ll be using in the in a further food hack. This juice will not only help to control those pesky festive sugar cravings with its natural, grounding sweetness, drinking juices laden with raw enzymes will help your body digest any heavy Christmas foods you simply can’t resist! Juice all ingredients, pour into a glass, stir in the cinnamon and drink! Be sure to download your free copy of my Book at Amazon, as this bonus package includes resources for the book too. Don't Toss the Juicer Pulp! Thank you so much for your support. I hope you’ll love the book as much as I’ve loved creating it for you. And if it feels good to do so, please leave a review on Amazon of your first impressions as every download and review helps the book to reach more people who will benefit from the healthy suggestions inside.